Bio: Karen Baker is a Signature Member of both the Connecticut Pastel Society and the Pastel Society of America. She is also an artist member of Vermont Pastel Society, Southwest Florida Pastel Society, Pastel Society of Tampa Bay, and The Exhibiting Society of Artists, Clearwater, Florida. She has studied with the late Master Pastellist Herman Margulies, Wolf Kahn, and PSA signature members Stanley Maltzman, Elizabeth Apgar Smith, Christina DeBarry, and Albert Handell. She offers painting demonstrations, and teaches studio and plein air classes and workshops in pastel painting and the creative process. She is founder and director of the Vermont School for Art and Creativity which offers workshops in July and August in southern Vermont. In addition, she teaches landscape painting workshops at the Fletcher Farm School for the Arts and Crafts in Ludlow, Vt., and at the River Gallery School, Brattleboro, Vt. She also provides pastel painting lessons throughout the Tampa Bay area in Florida. Medium: Pastel. Karen works both in the studio and outdoors, creating finished pieces from plein air color studies, sketches, photo references, and, more importantly, her imagination, which she believes produces paintings most expressive of an "inner landscape." 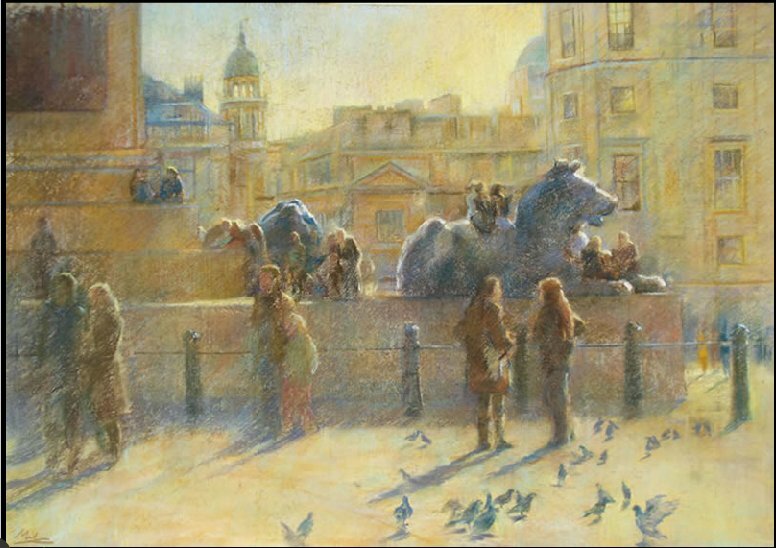 Her favorite light of day to capture in a landscape painting is late afternoon when the sun is at a low angle, yielding long shadows and warm colors. Subjects: Seasonal landscapes of northern New England; marshlands and waterways of the coastal South; Florida’s sugarcane fields and the Everglades; still-life of fruits and vegetables; florals; and her continuing Poppy Series. Navigation: Main menu remains on top; use back button to exit gallery and return to Portfolio page. Gallery: Portfolio: Poppy Series; Four Seasons; Americana Series; Florals; Memory Series; Low Country South; Recent Paintings. Image View: Each gallery opens to thumbnails and a slide viewer. Click to view chosen image. Recent Paintings displays clicked-on image in a pop-up window, and this display is larger than those of the other galleries. Download is possible. Information is not provided on image size. Poppyfield 3 400 x 307, 192 KB. Bio: Raised in Cambridge, Massachusetts, Anne Kessler followed family tradition by attending Harvard. She moved to California and threw herself into the "back to the land" movement. She spent the next 10 years as a professional musician conducting both choruses and orchestras. Then she moved to London where she studied finance and database engineering. Finally she moved to Point Arena, on the Garcia River in Mendocino County, where she paints full time. Anne studies colorist and pastel techniques with Kitty Wallis, a close friend for over 30 years. Anne has shown her work in galleries in San Francisco, Scottsdale, New York City, Paris and Zurich. Her work is on permanent display at The Sea Ranch Lodge in Sonoma County. In 1993 when Crown Prince Naruhito of Japan married Masako Owada, one of Anne's paintings was presented to the royal couple as a wedding present by an American collector. The painting now hangs in the private collection of the Japanese Royal household. Medium: Pastel. Anne works exclusively on Wallis paper. The pastel brands she prefers are Ludwig, Unison, Schminke, and Sennelier. If she lacks a precise colour, she creates her own pastels. Navigation: Main menu remains available at left. Gallery: New Paintings; Rivers and Forests; Farms and Vineyards; Oceans and Dunes; Flowers and Plants. Image View: Each gallery consists of a page of thumbnails. Click to enlarge, and obtain further informaton and commentary. Download is permitted. Garcia Shallows is 18 x 24 ins. 400 x 291, 29 KB. 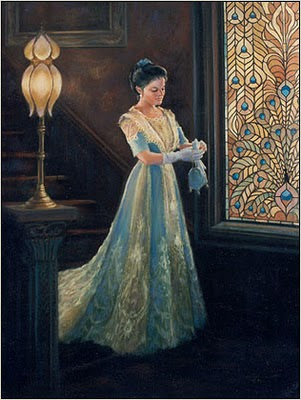 Bio: Kathleen Cook was born in Amarillo, Texas in 1949. Her father, Lloyd Cook, was a professional advertising artist and painter. Kathleen always wanted to be an artist. She cannot remember a time when she was not drawing on every available surface. She took her Bachelor of Fine Arts Degree at Texas Tech University, in Lubbock, when she did commissioned portraits of children to help finance her education. During her entire university career she also had commissions in the advertising departments of two retail fashion department stores that led to ten years of head illustrator and advertising art director after graduation. In 1981, a move to the Texas Hill Country allowed her to explore her own visual ideas. A short year later she was awarded coveted signature status by the Pastel Society of America. 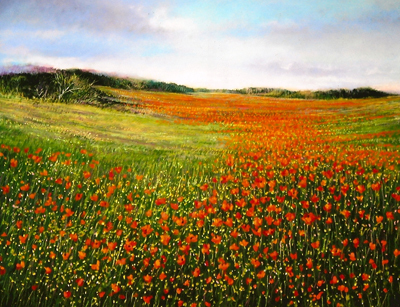 Kathleen’s work has been featured in American Artists, Pastel Artists International, and Southwest Art. Since 1980 it has been consistently winning awards, and her work is in the collections of the San Antonio Art League Museum, and the San Marcos Telephone Company. Kathleen’s studio is located in the historic art village of Old Ingram Loop, 6 miles west of Kerrville, Texas. Subjects: Portrait, Figurative, Animals, Landscape, Still Life. Image View: The gallery consists of a page of thumbnails. Click to enlarge. Download is permitted. Grim Reaper is 24 x 18 ins, 723 x 546, 281 KB. 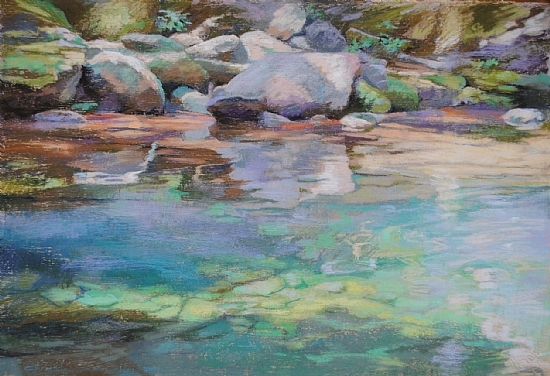 Bio: A native of the Hudson Valley area of upstate New York, Christine Debrosky finds the rich jewel like tones of pastel to be an ideal medium for her light-saturated landscapes, whether depicting her banks of her native Hudson river, the Catskill Mountains, or more far-flung locations. Her work has been exhibited, both in group and solo shows, across the United States, Europe, and St. Petersburg, Russia, garnering numerous awards and collectors along the way. 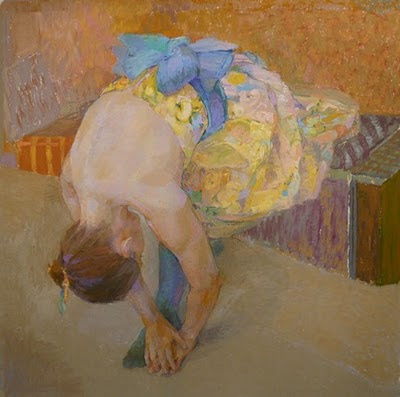 Christine Debrosky's work has consistently been honored with awards in national juried exhibitions, with such groups as American Women Artists, and the American Impressionist Society. She has earned signature status with AWA, the Pastel Society of America, and Distinguished Pastellist with the Pastel Society of the West Coast. 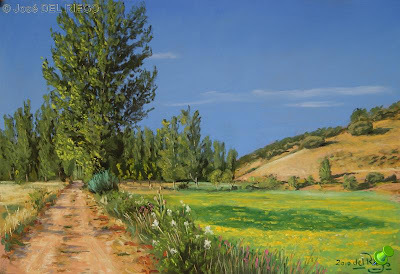 SHe has exhibited with L'Art du Pastel en France (Giverny), at the American Women Artists invitational in Santa Fe, New Mexico, and in Sorrento, Italy. 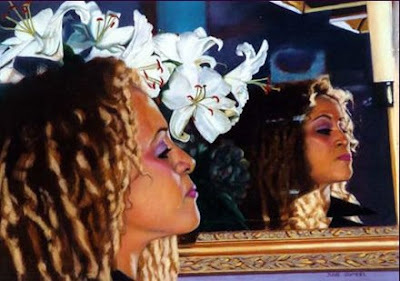 Articles about her work have been published in several magazines, including American Artist, The Pastel Journal, and The Artists Sketchbook, and her work has also been featured in books. She has been listed in Who's Who in American Art, and Who's Who of American Women for the past several editions. Her work is in numerous private and corporate collections, such as Pfizer Chemical, Standard and Poor's, and McGraw-Hill Inc.
Long inspired by the Hudson River environs, she has recently relocated to Northern Arizona, where the brilliant sunshine and richly hued shadows are leading to a deeper understanding and a new interpretation of the illuminated landscape. 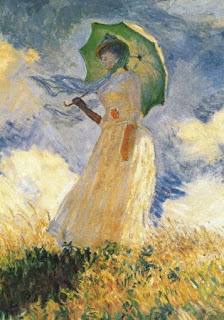 Style: Impressionist. Christine works mainly on Sennelier La Carte or on Wallis paper, midtoned, with a charcoal underpainting, and with a full range of pastels that include Rembrandt, Rowney, Sennelier, Great American, Mt. Vision, Unison, Schminke and Diane Townsend. At times she mixes pastel with watercolour. About 50% of Christine’s work in done en plein air. Gallery: Southwestern Home; Garden and Architecture; The Pure Landscape and Waterscapes; Travel Works; Orchards and Vineyards. Image View: Each gallery consists of a page of thumbnails. Information on size, medium is normally provided both by resting the cursor on the thumbnail, and when you click on and enlarge a particular image; click again on an image to enlarge it further, and proceed forward or backward through the enlargements. Download is permitted. Lemon Quartz Light is 15 x 22 ins, 5560 x 376, 214 KB. Bio: Arkansas artist Julene worked as an advertising designer and production artist for over 25 years with various magazines, newspapers, and commercial advertising. What she learned in that profession she applies to her eye-catching pastels. Julene specializes in large format flowers, foliage, and animals for their graphic shapes, dramatic color and lighting. 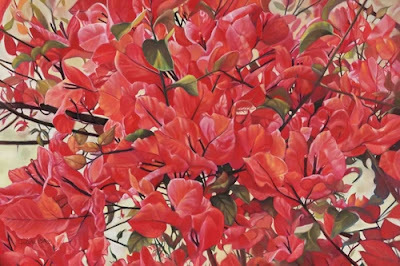 In her series of flower and foliage paintings the emphasis is capturing fleeting light and shadow. The colour and nuances of flowers have always intrigued and fascinated her, and she always hopes that others viewing her oversized petals will find them as breath-taking as she did when painting them. Julene was a featured artist in the August, 2006, edition of the Pastel Journal, along with Al Lachman in the article Art in Bloom. 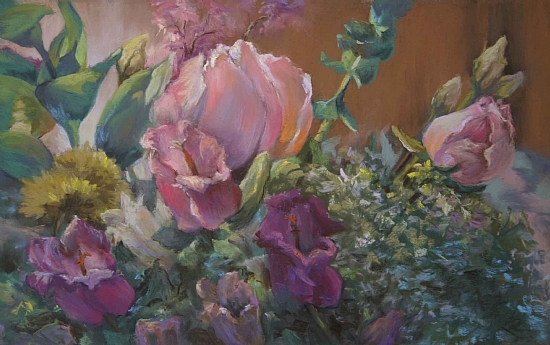 Julene has won awards in local, regional and national competitions, including Third Place in the Still Life/Floral Category of the 2004 Pastel Journal Pastel 100 competition (with over 3,000 entries). 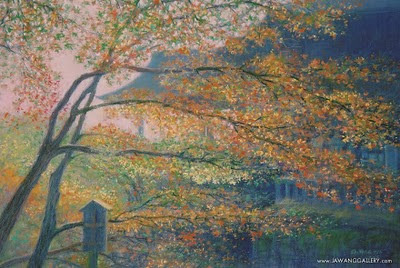 Julene has signature status with the Pastel Society of America, also signature member of the Ozark Pastel Society, with memberships in the Degas Pastel Society of New Orleans, and the Artists of Northwest Arkansas. Medium: Pastel, mostly on white Wallis paper. Julene finds that blending with her fingers works best for her – even if her fingers suffer from the tooth on Wallis. She layers, blends, fixes, and layers again until she achieves her final result. The dark background is the last to get painted. Subjects: Floral; Portraits; Animals; Still Life. Navigation: Menu remains at side of page. Bringing up the images is easy. Gallery: Florals; Portraits; Pet Portraits; Equine; Still Life. Facebook: http://www.facebook.com/pages/Pet-Portraits-by-Julene-Baker/128254177227379 . This page concentrates on her pet portraits. Bio: Dennis Linn holds a Bachelor of Fine Arts degree in Art and Art Education from Ohio University in Athens, Ohio, and Master of Arts and Master of Fine Arts degrees from Bowling Green State University, Ohio. He joined the U.S. Air Force as an officer in the late 70s, and during his career he worked as an Air Force artist and was professor of art at the Air Force Academy in Colorado Springs, teaching studio art and art history. Other positions include Assistant Professor of Aerospace Studies, Director of the Journalism Department at the Defense Information School in Indianapolis, Director of Public Affairs at Ellsworth AFB, SD and at McClellan Air Force Base in Sacramento, and Chief of Plans and Policy for Public Affairs at Headquarters European Command in Stuttgart-Vaihingen, Germany. His last assignments were Inspector General at Ellsworth and Chief of Protocol at Osan, Korea. Throughout his Air Force career, he continued working, learning, and developing as an artist, receiving many state and regional awards, and recording his varied experiences in his art. Sixteen of his paintings were accepted into the Permanent Collection of the Air Force, and hang in the Pentagon and other locations. Dennis has been featured in American Artist's Magazine as an American Emerging Artist and won First Place Sculpture in Artist's Magazine's All Media Competition. In 2007 he was placed in the abstract division in the Pastel Journal's annual Pastel 100 competition, and in 2009 in the Animal and Wildlife category. Subjects: Landscapes; Animals; Still Life. Gallery: Artwork (ten images all told): Landscapes; Animals; Abstracts. Image View: All images are large thumbnails. They are not labelled with medium or dimension. 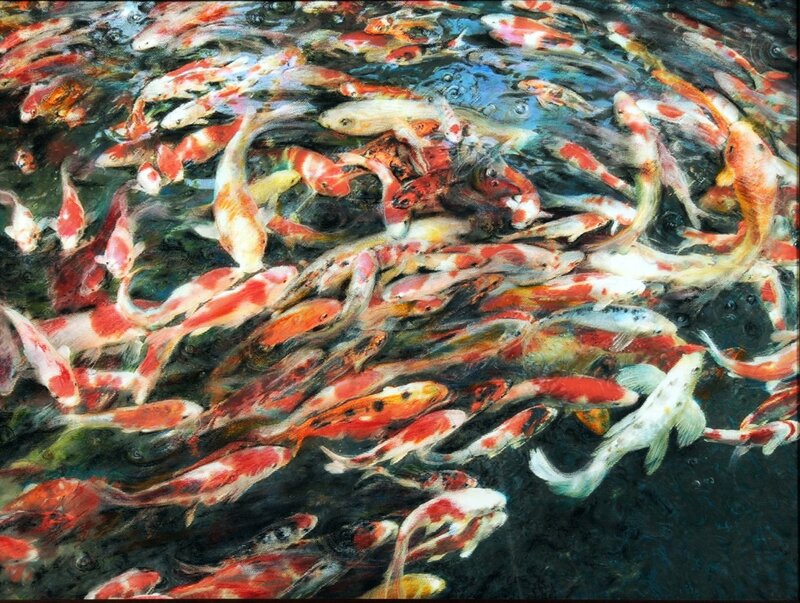 Koi is among three gold-medal paintings he has on display at the National Veterans Creative Arts Festival in Riverside, California. Bio: Singapore artist John Wang has enjoyed painting from the early 1960s, despite his lack of formal training in art. He has been painting regularly after his retirement from the Singapore Civil Service in 1999. John's artworks are mostly in private collections. John was elected as a Juried Associate of the Pastel Society of America in November 2002, and a Signature Member in March, 2005. Gallery: Artworks: Watercolour; Pastel (9 pages of 6 images per page). Image View: Pages of thumbnails form the galleries; these may be clicked to enlarge in a pop-up window – the more recent images are larger. Autumn Colours is 13.5 x 19.75 ins, 880 x 590, 217 KB. Bio: Spokane artist Marian Flahavin graduated with a BA in Art, from Holy Names College, Oakland, CA. She was accepted by the Pastel Society of America in l982 and became a signature member in l99l. 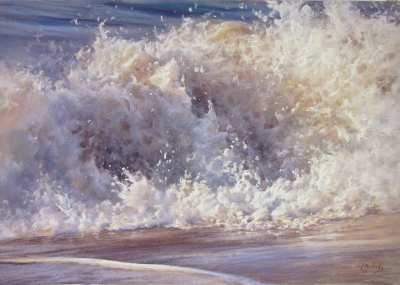 She is also a signature member of the Pastel Society of the West Coast and the Northwest Pastel Society. She is included in Who’s Who in American Art, Who’s Who in America and Who’s Who of American Women. She has won two national awards, the Gold Medal Art Spirit award (2007) and the Jack Richeson Award (2006) in the American Artists Professional League Grand National Show in New York. Navigation: Main menu remains available at right side. Gallery: Portraits (mostly oils – the pastels herein are also featured in the Pastels gallery); Gallery Pastels; Garden Bronzes. Image View: Pages of thumbnails form the galleries; these may be clicked to enlarge; the only options from there is to use the Back button to return to the thumbnail page, or to click on a different page. Clicking on the image returns you to the thumbnails. It would be useful to be able to scroll through the enlargements in a slideshow. There is no information on the dimension of the original paintings. I have chosen Dinner at 8 because it reminds me of Carolyn Robles' Fallera in Turquoise. Bio: Emmy Award winning Production Designer Edward L. Rubin has lived in Paris, New York, San Francisco, Pittsburgh and Santa Barbara. He received a Bachelor of Arts in Architecture with honors from the University of California, Berkeley, and he holds a Master of Fine Art degree in Set and Costume Design for Theatre from Carnegie-Mellon University. Edward studied etching and lithography at California State University Long Beach, and drawing and painting at the Academie de Port Royal in Paris, France. From 1991 through 1997 he had a studio space at the Hunter’s Point Naval Shipyard in San Francisco. During this time he developed his mastery of soft pastel on paper, a medium he continues to discover new things about every day. Edward’s love of the Bay Area is evident in the many series of landscapes he created depicting its stunning beauty and his work of this period resides in many private collections. Edward now lives in the Miracle Mile neighborhood of Los Angeles, not far from where his grandparents built a home back in 1934. Subjects: Figurative. Landscape. Still life. Navigation: The main menu remains available at all times. Some of the links are in a state of development. Once in a particular gallery you can only advance or retreat through the gallery pages, or return home. There is no link to the other galleries, or to the portfolio page. Gallery: The Fine Art portfolio is available from the home page. Subgalleries are Figurative; Landscape; Still Lifes. Image View: Each gallery consists of thumbnails that may be enlarged. Both dimension and medium is listed. Clicking on the enlarged image opens a pop-up slideshow. The Letter is 36 x 35 ins, 572 x 600, 363 KB. Demo: On the Portfolio page is a link to a detailed stage by stage (pas-à-pas) of The Letter. (featured here). Ed is also on YouTube – the links are available from his Facebook page. 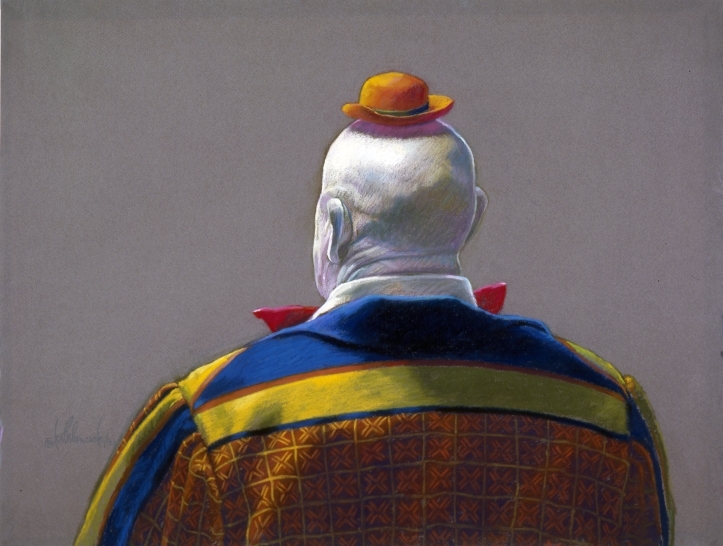 Bio: Michael Chesley Johnson is a Master Pastellist of Pastel Artists Canada, a Signature Member of the Pastel Society of America and the Pastel Society of New Mexico, as well as a juried member of Oil Painters of America and other prestigious groups. 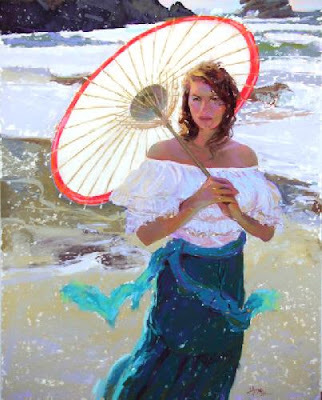 His work has been in shows in both the US and Canada and has been published in The Artist's Magazine, The Pastel Journal, American Artist and Fine Art Connoisseur (Plein Air Magazine). Publications: Michael is the author of the books, Backpacker Painting: Outdoors with Pastel & Oil; Through a Painter's Brush: A Year on Campobello Island and The Art of Ann Templeton: A Step Beyond. He writes regularly for The Pastel Journal, and is a Contributing Editor for The Artist's Magazine. Subjects: Landscape. 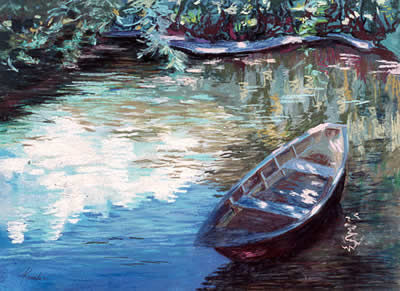 Primarily an outdoor painter, he teaches plein air painting workshops throughout North America. Style: Representational, with impressionistic tendencies. Navigation: This website is well laid out, bespoke design by 3 Crows, which demonstrates the artist’s work and is a functional shop window for his art, DVDs and books. The main menu remains available at all times. There is a site map, which is unusual on artists’ websites. Gallery: Paintings: Maritime/Seascape (oils and pastels); American Southwest (more oils than pastels); Selection of Sold Works (oils and pastels). Image View: Each gallery consists of thumbnails that are tagged with information on medium and size. You are invited to click on these to enlarge them in an attractive pop-up, whence they may be saved. 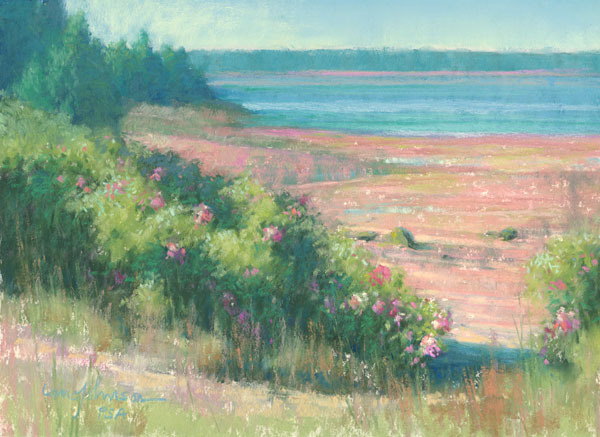 Many of Michael’s pastels are 9x12 ins, including Low Tide Roses, 600x 437, 101 KB. Blog: Michael maintains an intelligent, informative blog that has useful tips on everything from the advantages of a limited palette (oil), to using a “dry wash” in pastel. Demo: Search for the artist on YouTube. Facebook: A public Facebook page. Bio: Sydney McGinley studied drawing and design in Barnstone Studios, Coplay, Pennsylvania, and silversmithing, art history and drawing in Cedar Crest College, Allentown, PA. She is an invitational member of the Catherine Lorillard Wolfe Art Club, and a Master Pastellist, American Pastel Society. Among her many awards have been second place for portraiture in the Pastel Journal Pastel 100, in 2002 (and finalist in other years); and first place in the National Drawing Association exhibit, New York. She was featured in Pure Colour: The Best of Pastel; and in Margot Schulzke's 2006 book, A Painter’s Guide to Design and Composition. Sydney draws her inspiration from the desire to convey good design and draftsmanship - soft pastels are her ideal medium as they allow her to draw and paint simultaneously. Sydney explains: Each of my pieces begins with a drawing; this ultimately provides a source of information and inspiration. The intimate act of drawing produces for me the link between the emotional energy I first encountered with the subject and the emerging visual image which develops after marks are made on paper. I then use pastels to expand upon these images. This medium allows me to simultaneously unite the gesture of drawing with the act of painting and to eventually give form, color, and space to that imagery. Subjects: Figurative. Sydney prefers placing the figure in an environment and working in a series in order to develop one idea more completely. Her pastels bring Degas to mind, or perhaps a closer relationship might be to Mary Cassatt. Navigation: This website is very easy to negotiate. Gallery: Pastels; Archived ’07-’10 (four sub-galleries filed by year); Archived ’06 and Previous (four sub-galleries filed by year and medium). Image View: Each gallery consists of thumbnails that may be played as a slideshow as such, or enlarged and browsed serially in the viewer. There is no indication of the size of the original, but the piece displayed here is 20” square. Her entry on Artistshouse does indicate the size at which she usually works. Images may be downloaded, but they are watermarked for copyright purposes. Sydney kindly sent me Blue Bow #2 for this blog. Bio: Eugenio Mayor was born in Alcoy, Spain, in 1952. Drawing from a young age with his mother and sister, he studied at the municipal school of Fine Arts in Alcoy. He took an advance course in landscape painting at the faculty of Fine Arts, Complutense University of Madrid. In 1978 he exhibited for the first time, and he has had individual and group exhibitions all over Spain and abroad. He is a gold medal recipient from the Asociación Pintores ADA – Calpe. His work is in private collections in Italy, Germany, England, USA, Japan, Portugal. Mayor pinta lo que ve y como lo siente: no le preocupa otra cosa que hacerlo cada vez mejor; evolución que he podido seguir y comprobar paso a paso, viendo la paulatina iluminación y limpieza de su color; siempre a expensas de su pureza y sinceridad de concepto. Rara Avis en la actualidad. 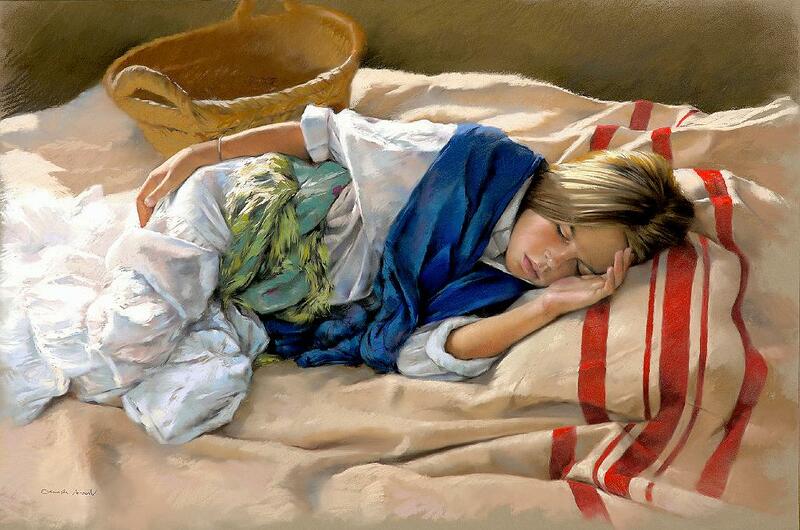 Alex Alemany. Subjects: Landscape. Has an obvious love-affair with Granada. Navigation: This website is in Spanish. Image View: Each gallery consists of thumbnails that enlarge in a viewer, whence they may not be saved. Like Germán Aracil, Mayor has a gallery on the ASPAS website. Demo: Some sketches under the Bocetos link. Bio: Spanish artist German Aracil was born in 1965 in Alicante. In 1985 he began his studies at the San Carlos School of Fine Art in Valencia, Spain. Aracil's first one-man show was held in his home town of Alicante, followed in 1990 by exhibitions in New York's Liz Liberatore Gallery. Two years later he took part in the Art Miami International Art Fair. Since then, Aracil has exhibited his work with great success in Spain, Portugal, Japan, Germany, France, South America and the USA. 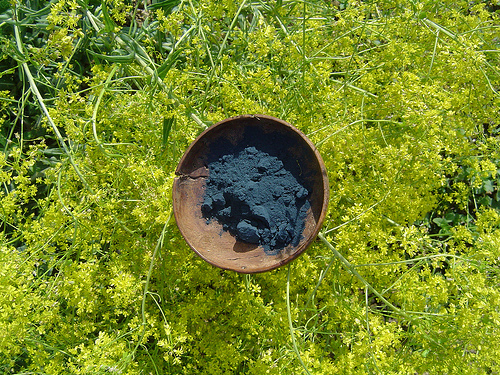 Aracil is a member of the Pastel Society of Spain, ASPAS. Subjects: Figurative in the main. Navigation: This website is in Spanish. It is Flash-based, so no matter what link you click on, the URL remains the same. Bio: José del Riego was born in Oviedo, Spain, 1960, where he still has his studio. He has a BSc in Biology from the University of Oviedo; he studied Philosophy and Theology; and for six years he studied drawing at the Oviedo School of Arts, where he counted among his teachers Adolfo A. Folgueras, Magin Berenguer and Bernardo Sanjurjo. José del Riego has always been a painter. As an amateur artist he worked in oil, watercolour and pen and ink drawing. In the late '90s he discovered pastel. The characteristics of the medium were just what he was looking for and changed his outlook on painting. Initially self-taught, José further explored the technique with a number of master pastellists in France. He is now practically a full time professional artist. A member since 2006 of International Association Art du Pastel en France, José is one of the founding members of the Pastel Society of Spain, ASPAS, and he is its first (and current) President. He has been exhibiting his work, in group shows and solo, since 2001. Subjects: José del Riego paints almost all subjects: landscape, portrait, figure (human, animals, flowers, still life), seeking not to be pigeon-holed into a single theme. Navigation: This website is in Spanish, French and English. Gallery: There are thirteen galleries in all, I do not propose to list them; the titles are self-explanatory, except for Interiors – which turns out to be Still Life. Image View: Each gallery consists of a page of thumbnails - click to enlarge in full page viewer, with remaining thumbnails at side. Pointing at these gives details of title and size, (also available on the enlarged image). You may continue in a slide show. Enlargements may be saved. El Camino de Arriba is 30 x 40 cm, 800 x 548, 65 KB. Bio: Pierre Caro was born in Villeurbanne, Lyon, 1952 of Andalusian parents. After studying at the Ecole des Beaux-Arts in Lyon from 1970-1975, and Paris, and Chicago where he worked with Jovo Krneta, Pierre Caro frequented the workshop of the Marseille-born artist Jean Fusaro. 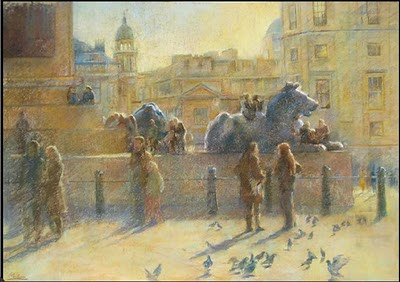 Early in his career he devoted himself to pastel, infusing his technique with a modern approach while absorbing the teachings of the old masters. He has considerable musical and theatrical talent - in 1980 he applied himself to textile design for the city of Lyon. Caro compares pastel to a butterfly’s wing, since, he says, it embodies the maximum intensity of pigments. It offers endless possibilities, from the most violent colors to the softest tones, and most complex of drawing techniques to techniques more closely associated with painting, everything is permitted. Caro believes that in our era of virtual images it is necessary to call for a revival which perpetuates the necessary direct contact of the hand with the material. En feuilletant son monde, on pénètre dans une gare en Inde à la croisée des destins; bien plus loin, dans l'Extrême-Orient des films de Kurosawa, des guerriers de "Ran". 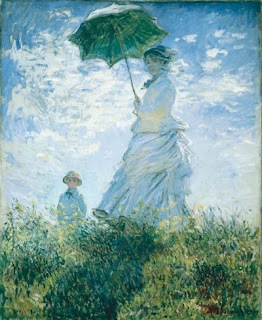 Et Caro attire le lecteur de ses images vers l'évidence de leur bonheur, celui d'un instant, tout en jouant de la transparence: tulles, voiles, fumées, miroirs, un soleil omniprésent, partition de l'ombre, caprice de la pluie. Jean-Yves LOUDE (écrivain). Style: Representational, but highly stylized, and among the most colourful pastel paintings that I have ever seen. A rich palette of primaries is covered by transparent glazes that reveal a technical mastery of the medium and a painstaking process. 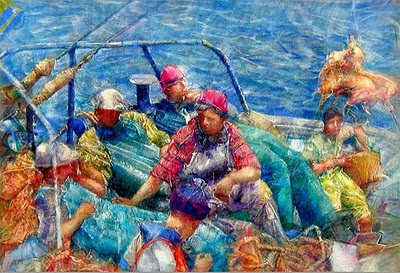 He layers many coats of pastel and fixative to obtain the result he needs – the apparently impossible effects of transparency with a medium that is essentially opaque. This process allows him to work with relatively few primary colours, like an oil paiinter, as they mix optically though the layers. He has tried many supports, but finds that a velour surface allows for most layers. His fixative is Talens during the course of the work, and a final spray of Lascaux acrylique that stabilises all layers and gives a resistant finish. For a full exposition of Caro’s technique seek out Pratique des Arts, Spécial Pastel, June 2011. Navigation: Another approach to web design. Website is in French. Clicking on the home page open another; here the pages are accessed by running the mouse over the little blue “marbles” at the bottom – the mouseover gives rise respectively to the legends Hier (Yesterday); Aujourd’hui (Today); Demain (Tomorrow); Edition (Prints); and Contact. Gallery: Hier – subgalleries: L'Inde; Le Brésil; La Chine; L'Espagne; New York ; Le Maroc ; L'Eldorado. (Some of these have more than one page). Aujourd’hui: Visiter la galerie de l'atelier (several pages that one can traverse forwards or backwards. ); Edition. Bio: Liz Haywood-Sullivan was destined to be artist. Her family were artistic going back three generations! Graduating from Rochester Institute of Technology in 1978 with a BFA in Environmental Design, she started as an industrial designer for Xerox Corporation, and she worked as a commercial artist in the various disciplines of industrial design, museum exhibit design, graphic design and illustration prior to spending 11 years from 1985 to 1996 operating Haywood&Sullivan, Inc., a full-service graphic design business with her husband, Michael. In 1996 an opportunity arose for her to return to her childhood dream of being a fine artist. With the design business becoming increasing technology driven she fell back on her love of working with her hands. Since then she has worked exclusively as a professional pastel artist, art educator, and community arts advocate. Holding Signature Memberships in the Pastel Society of America, the Pastel Painters Society of Cape Cod, and the Connecticut Pastel Society, her award-winning paintings have been seen in numerous local, national, and museum shows, and are included in private and corporate collections worldwide. She has been winning awards since 1999, including the prestigious Dianne Bernhard Gold Medal for Excellence in 2001, 2003 and 2010. Liz is a Vice President of the North River Arts Society, where she teaches and gives workshops on pastel painting. In February 2010 she accepted the position of Vice President of IAPS - International Association of Pastel Societies. 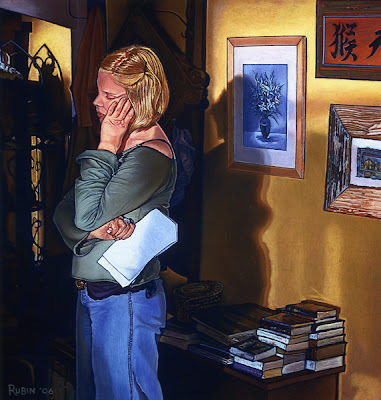 She was featured in the Pastel Journal in 2002, where there was a discussion on her medal-winning painting, and much more besides; in October 2007 with “Lighting Up the Sky”, and a multi-page demonstration on painting snow in the February 2010 issue; and in The Artist’s Magazine; Southwest Art Magazine Annual Pastel and Watercolor issue April 2005; and American Art Collector 2007 and 2008. Liz lives in Marshfield Hills, Massachusetts, USA along the New England coast where she finds much of her inspiration. She takes an annual trip to New Mexico where she paints and gathers reference material for her Southwest landscapes. Style: Representational. Liz stays motivated by having a painting on her easel at all times. Image View: Each gallery consists of a pages of large thumbnails; Click to enlarge on the same page. The enlarged image has details of title and size, and may be saved. Clicking on the enlarged image brings up the next one. Waiting for Spring is 12 x 30 ins, 926 x 450, 199 KB.